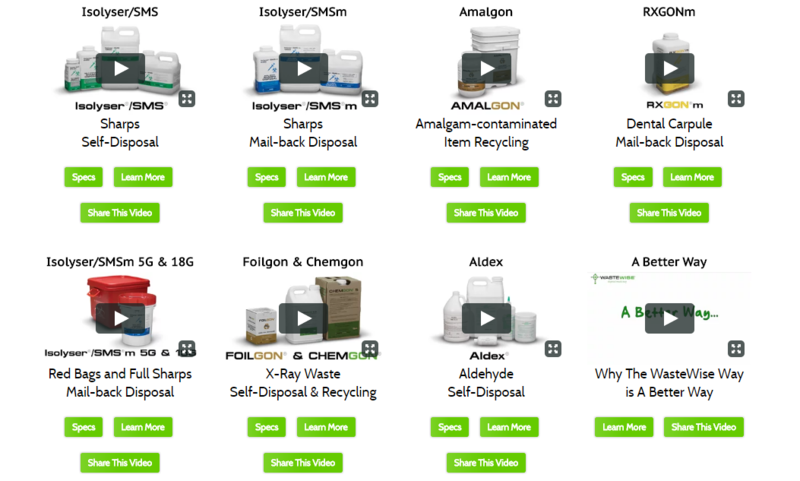 WCM’s mission is to provide SQG’s an easy and inexpensive way of complying with regulated waste disposal/recycling regulations. 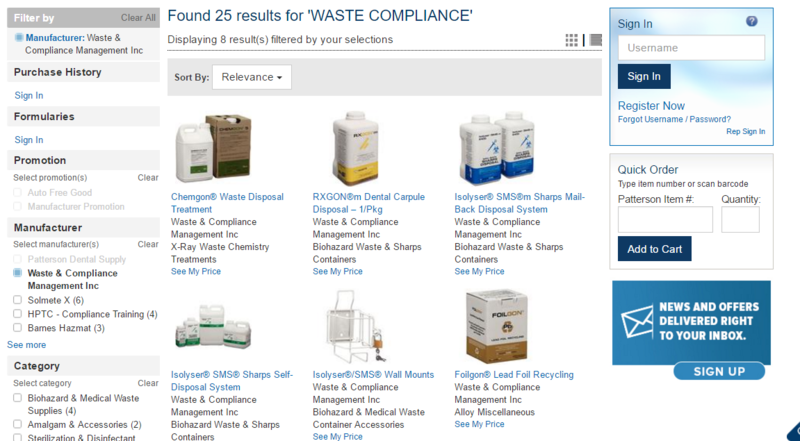 WCM’s products are easy to purchase, use and represent the most efficient way of complying with disposal regulations. Because WasteWise® products are inherently more efficient they also generate a smaller carbon footprint when compared to traditional disposal methods. 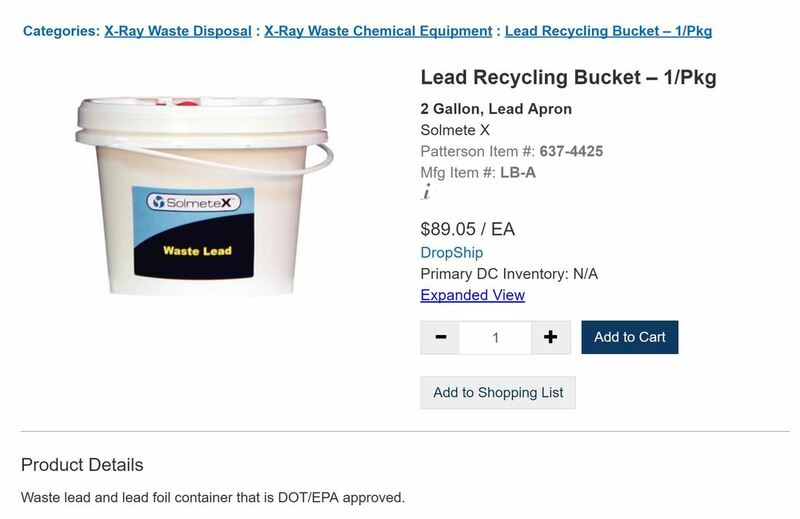 Lead aprons must be reclycled through a company like Solmetex who has a product made specifically for disposing of aprorons, see image below for ordering details. You can also contact a local metal recycling company to see if they would be interested in taking it.